A popular food chain, Red Robin, originates from Seattle Washington. They are famous for their gourmet burgers, onion rings, cocktails, and most of all, their dipping sauce is “campfire sauce.” Many have attempted to copy their sweet and smoky dipping sauce, and while a lot have come close, it’s still not quite right. Learn how to make campfire sauce to add more flavor to your food. Camping food isn’t always associated with being delicious. However, that shouldn’t be the case. Food is one of my favorite things about camping. 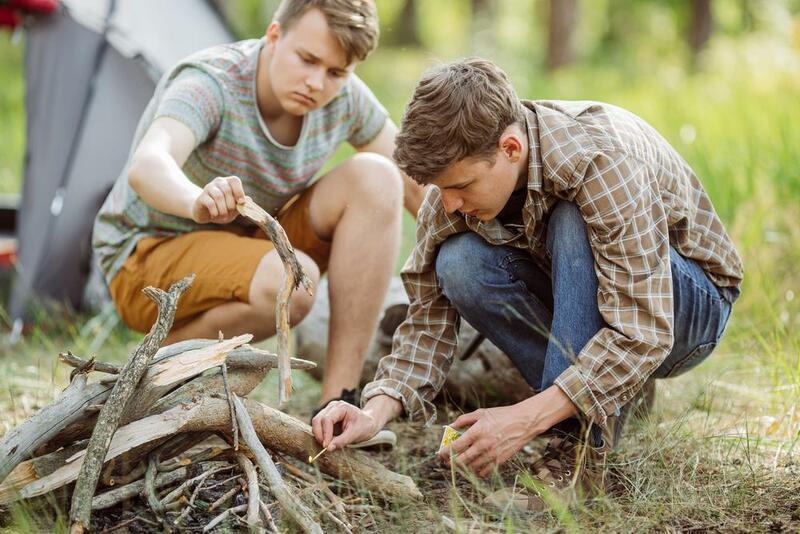 This article will talk about camping cooking tips, including how to make a sauce to elevate your food. What is a campfire sauce? Be ready to put out fire. I've searched the web, hoping to find out what it is exactly and why it is called "campfire sauce." Unfortunately, I didn't find the answer I was looking for. I guess it's just the name they came up with for their dip. 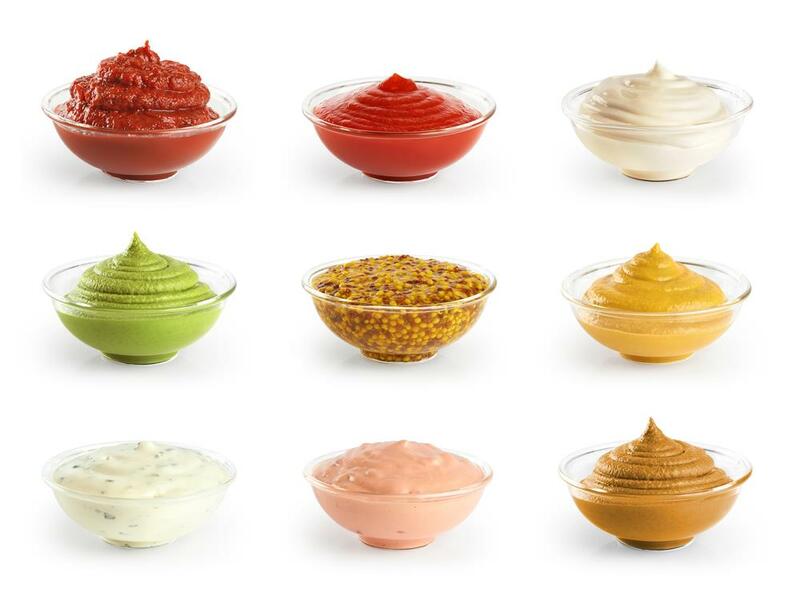 Anyways, don’t you agree with me that some dips and sauce work magic in some food? Sometimes, it makes us eat food we don’t usually eat. A lot of times, I believe a sauce can save a dish. If you are a camper, a sauce can be one of the best things you can bring for your tummy’s sake. Red Robin’s sauce is a little sweet and smoky. You can attempt to imitate it, but you can also give it your own twist. After all, your taste preference is what’s important. For my version of the campfire sauce, I use ½ cup of mayonnaise and 3 tablespoons barbecue sauce. I add a small pinch of salt and pepper to finish. It’s quite simple. I use this sauce for french fries, onion rings, sausages, bread sticks, and more. You can use it however you like. You can even change it up a little bit. Just follow your tastebuds and do the trick. As I mentioned, sauces can be as personal as you want it to be. Your tastebuds are the best tools for making a sauce. It’s best to prepare this at home so you don’t have to bring a lot of ingredients in camp. You can also just prepare the ingredients ahead and do the heating at camp. It’s a perfect match for crackers and bread. You can even have it together with fruits and vegetables like apples, celeries, carrots, etc. Method: If you have a cooking pan, place it over low heat/low fire. Add the butter first before adding the rest of the ingredients in the pan. Season to your taste. Perfect for your grilled food, but also great as a dip for bread and crackers. Method: Simply mix all the ingredients together. You can rub it on your meat when you’re barbecuing and you can also use it as a dip. Remember, adjust the ingredients according to your taste. Preparation will get your further. Like with other things, preparation is very important. It’s especially important for a smooth camping experience. Plan your menu ahead of time, especially if you’re camping for several days. You don’t want to end up lacking in food during your camp. 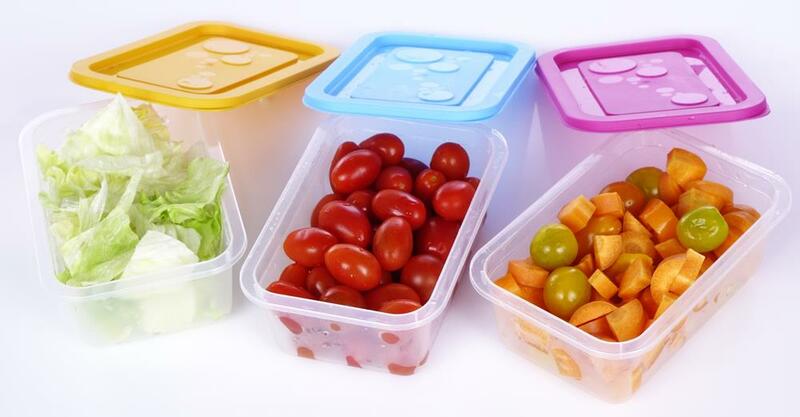 Measure your ingredients ahead of time and pack them in Ziplocks or Tupperwares with labels. This saves you from the trouble of measuring in camp. Freeze your ingredients before packing them in your icebox. The frozen food will act as added c﻿oo﻿ler. Set your food in the icebox according to when you will use them. Last day ingredients should be at the bottom, and the first day at the top. You can precook stews, soup, and sauces at home and just heat it up at camp. Know what tools you will need for cooking outdoors. This will also depend on your menu, but the basic cooking necessities are pots, pans, and a grate. You can also bring a percolator or a kettle to heat water. Have a wooden spoon to stir your food. You will also need tongs to pick up food from the heat. The longer, the better, so you’ll be as far away from the fire as possible. A few sharp knives will come in handy. A﻿﻿﻿﻿ chef’s knife and a paring knife are most likely all you need for camping. A few lightweight cutting boards for chopping food. You can also use this as your serving plate. Don’t pack expensive kitchenware you aren’t ready to get beaten up. You need three things to make your fire. Tinder, kindling, and your firewood. Tinder are things that burn easily such as cardboard, strips of paper, commercial fire sticks, etc. To keep your fire burning, you will need kindling, which are larger burning materials than tinder. They burn longer than tinder. These are usually small twigs and branches. Finally, you can add in your firewood. Before making your fire, look up and around to check for any dry branches and leaves that could catch fire. 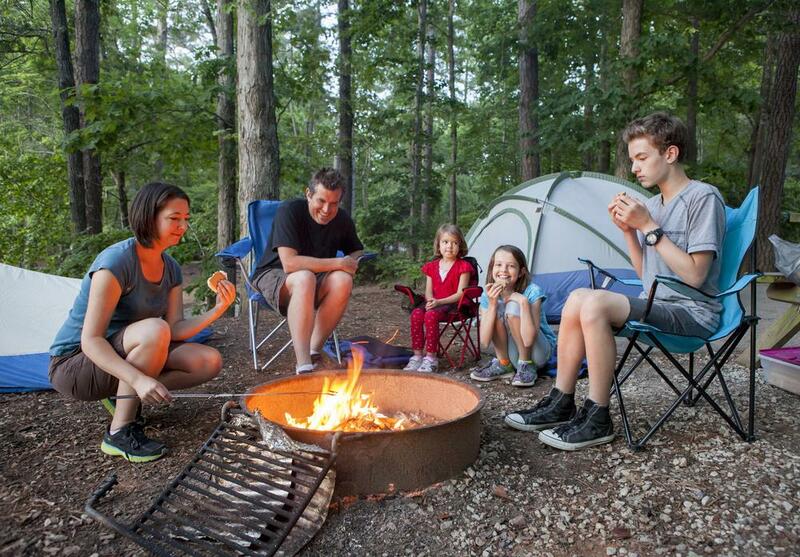 Your fire pit should have at least 10 feet of clearance, including your tent or RV, food, dry leaves, etc. If there is no fire ring, you can circle your fire pit with rocks. Have a bucket of water and a shovel ready, in case your fire grows larger than anticipated. You can reduce big flames by throwing in water or dirt. When you’re done, make sure to completely drown all the embers with water. No matter what is going on, do not forget that you have a fire going. Watch out kids and pets carefully as well to avoid any accidents.Always extinguish your fire before bed, and before you leave the campsite. Choose your cooking method. Do you want to grill, barbecue, reheat, or cook in foil? Open fires are best for heating water and cooking in pots and pans. 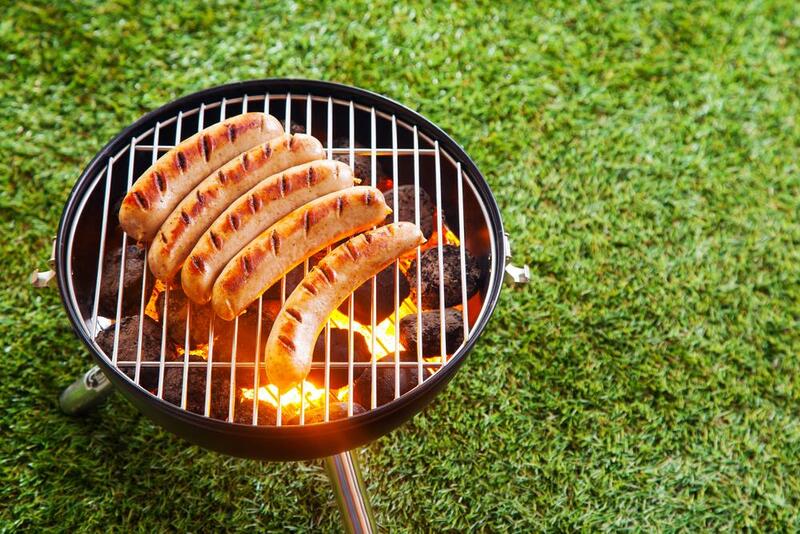 However, if you're grilling or barbecuing, you don't want the flames. Rather, you want the wood to burn down into coal. Coal provides more consistent heat, so there are lesser risks of burning your food. Marshmallows and hotdogs aren’t the only things you can cook on a stick. You can attach a piece of meat and hold it over the fire. This method is tiring on the hands, but you can create a rotisserie, and rotate your meat manually. Grills come really handy when camping. You can use the flat surface for pots and pans, or you can cook food directly on the surface. Slightly coat your ingredients with oil or butter before putting them in your foil packet. Heavy duty foil is ideal,l but you can also just double or triple the layers of a regular foil. Don't be stingy with your foil. It's better to have it a bit too long than too short. Cooking on a campfire can be tricky. Temperatures are not stable, so you need to keep an eye on your cooking. Have tongs ready to pick up or move your foil packet. 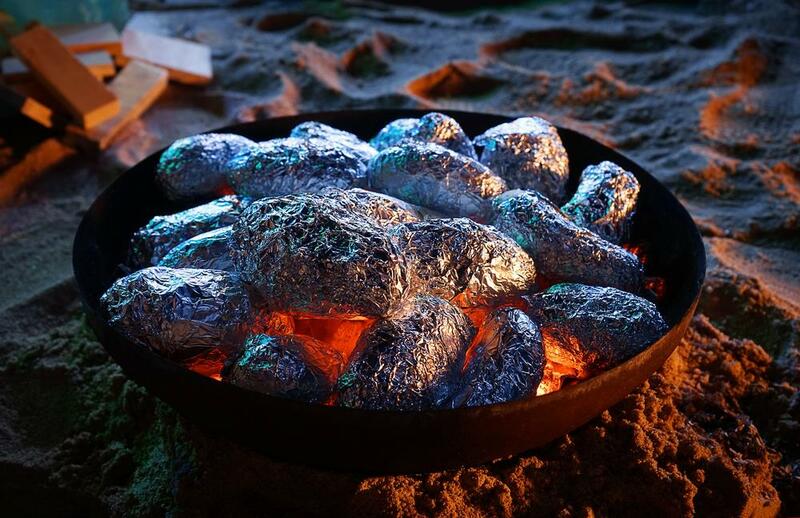 You can place your foil packet directly on the coal, on a grate over a fire, on a barbecue, or on a grill. You don’t always have to “rough it” out there. There are many ways to elevate your c﻿﻿﻿﻿amp food. One of which is with sauce. Another way is to prepare food ahead at home so that camp cooking won’t be so hassle. With preparation and the right stuff on hand, your camp meals can be one of the best things about camping. There’s just something about cooking food outdoors, in a campfire, that makes food extra special. Remember, camping is also about making memories. Have your kids or friends help out for an even better and memorable experience. And of course, don’t forget to clean up after yourselves! Happy camping!